Shoot bubbles and spin the board in this brand-new bubbles game that will train your mind and test your skills! 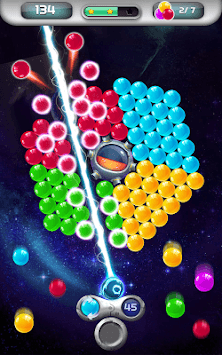 Aim carefully and take perfect shots to generate huge chain reactions and big bubble drops. Play now and have a blast with this physics-based fun new game! Thousands of amazing balloon popping levels are waiting in this super fun matching game, are you are you up for the challenge? PLAY now and crash your way to victory by completing the different quests and logic riddles. Employ epic boosters and power-ups to create major explosions and big bubble drops - combine them for even greater effects. Awesome Challenges - Shoot and Spin Bubbles! The bubble wheel is spinning, so you always have a new challenge. Act fast and work out a winning strategy that will help you burst and explode the colorful balloons. - Match 3 or more balls of the same color to smash and pop. - Spin and win: shoot the bubble board and reach the level target. - Solve all the fun puzzles and brain teasers. 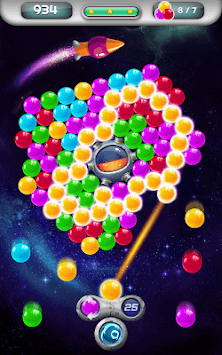 - Join the bubble blast fun: Pop bubbles and win coins. - Crush your way through plenty of addictive levels in this enjoyable spinner game. - Enjoy cool graphics and visual effects that make the entire gaming experience super fun! Matching games are the coolest, and Spinner Shooter is just one of them! This relaxing free puzzle features the classic and loved ball shooter gameplay with a modern twist. Join the fun today, shoot the colored balloons and face the spinning bubble board. 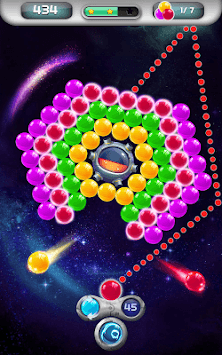 Enjoy unique levels, stunning effects and great bubble shooting experience. Spinner Shooter is totally free to play online or offline- no wifi or internet connection is needed. One thing you’ll love about the game is that you can start any level over and not have to wait for lives, as they are unlimited!